After another T20 series white-wash in Dehradun, Afghanistan now take on a wounded, Irish side in the first ODI set to take place on 28th February in Dehradun. While Afghanistan will be looking forward to the ODI series as they need to up the ante in their preparations for the upcoming World Cup in England, the Irish would want to exact revenge after finding themselves on the wrong side of a Rashid Khan special. With the jury still out on whether the World Cup should be limited to just ten nations, this is a golden chance for Ireland to prove their credentials and add more value to the claim at the expense of the resurgent Afghans. A few new faces were named in the squad by Afghanistan although they should heavily rely on the likes of Mohammed Nabi, Rashid Khan and Mujeeb ur Rahman. They have a world-class spin attack along with Aftab Alam, who did well in the Asia Cup last year. All eyes will be on Hazratullah Zazai, after his virtuoso performance in the second T20-I. Alongside Mohammad Shahzad, he is a vital cog in their batting with a slew of all-rounders in the mix as well. William Porterfield returns to lead the Ireland side in the ODI series, which frees Kevin O'Brien to play in his favoured position. Stuart Poynter should keep wickets for the Irish with the likes of Simi Singh and James McCollum in the mix as well. Tim Murtagh and Barry McCarthy should form the pace attack, alongside Boyd Rankin while George Dockrell is set to play as the lone spinner. Wicket-keeper: Mohammed Shahzad is back for Afghanistan, after being left out for the T20 series. With the burly wicket-keeper amongst the best in the business within the powerplay overs, he is must have player in the fantasy team. 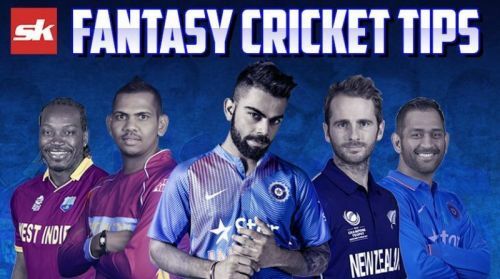 Batsmen: Paul Stirling and Rahmat Shah are the lynchpins of their respective batting units, making them dependable options for the fantasy team. Hazratullah Zazai's stellar T20-I series should also hold him in good stead. Andy Balbirnie is also amongst the probables after a decent outing in the third T20. All-rounders: Mohammed Nabi and Kevin O'Brien are houshold names and are synonymous with their respective countries' success. Along with Simi Singh, both of them are great options to have with their all-round abilities sure to come into play during the course of the match. Bowlers: Rashid Khan and Mujeeb ur Rahman are must haves in the fantasy team with their variations bound to get them a couple of wickets. Two of Boyd Rankin, Tim Murtagh and George Dockrell could also prove to be worth-while selections. Captain: Mohammed Nabi was the star in the recently concluded T20-I series with brilliant performances with bat and ball. Once again, he is the preferred choice for captaincy along with the likes of Rahmat Shah, Mohammed Shahzad and Paul Stirling.